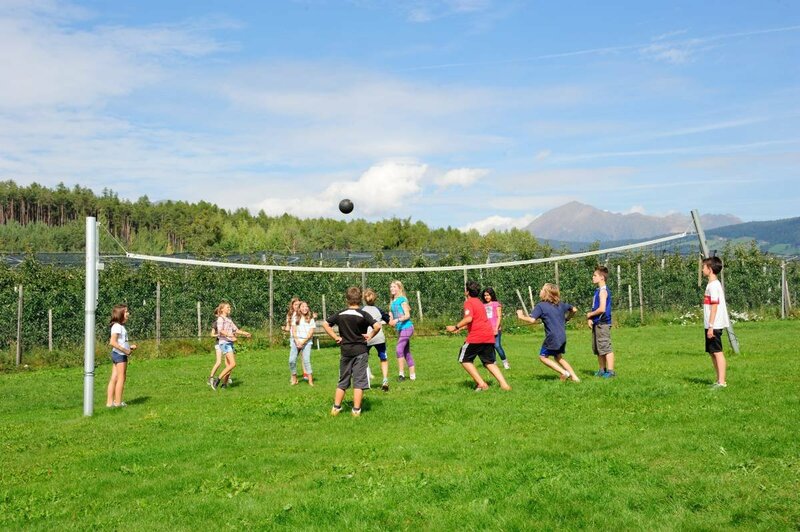 Score goals, throw baskets, play volleyball – at the private playground and sports field of the group hotel Sonnenhof everything is possible. 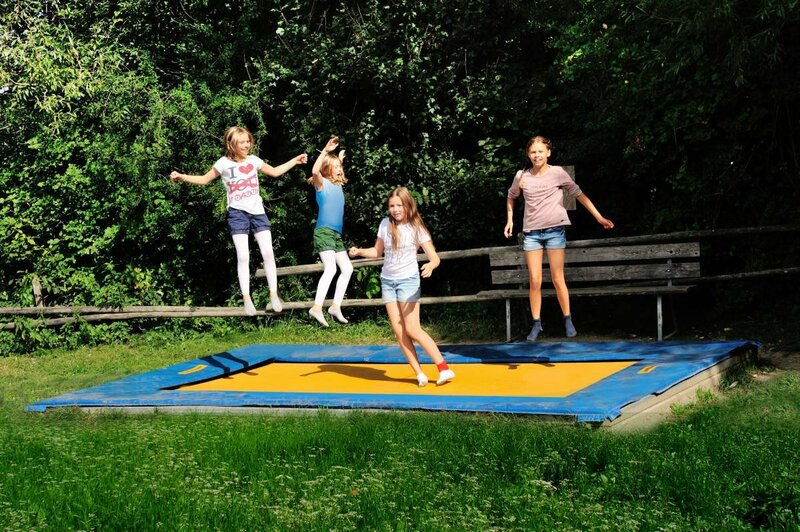 Besides playing different ball sports, children and young people may also romp on the big trampoline and use the swing in the outdoor area. 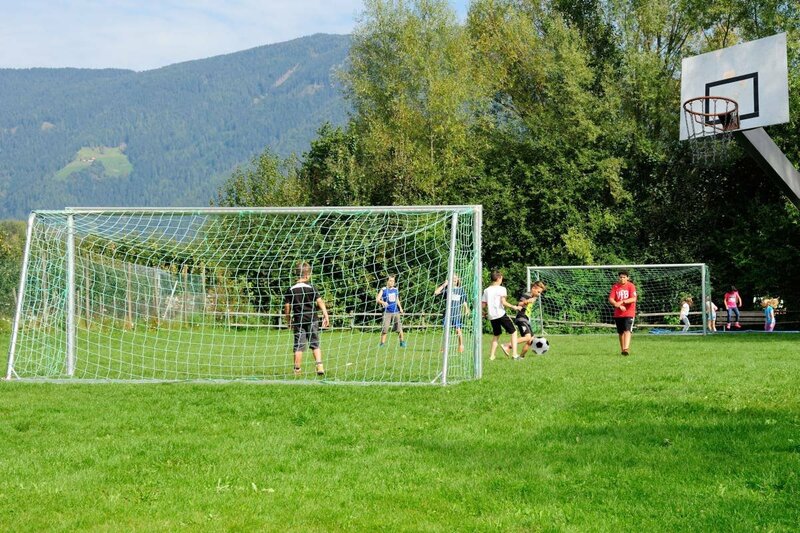 You may spontaneously organise a tournament on the small football field, where the best leisure players compete against each other. Dribblers can put their skills to the test and captivate the audience with cunning ball tricks, before the ball ends up in the goal. Basketball is a fast and varied sports activity. Plenty of action and entertainment is guaranteed. 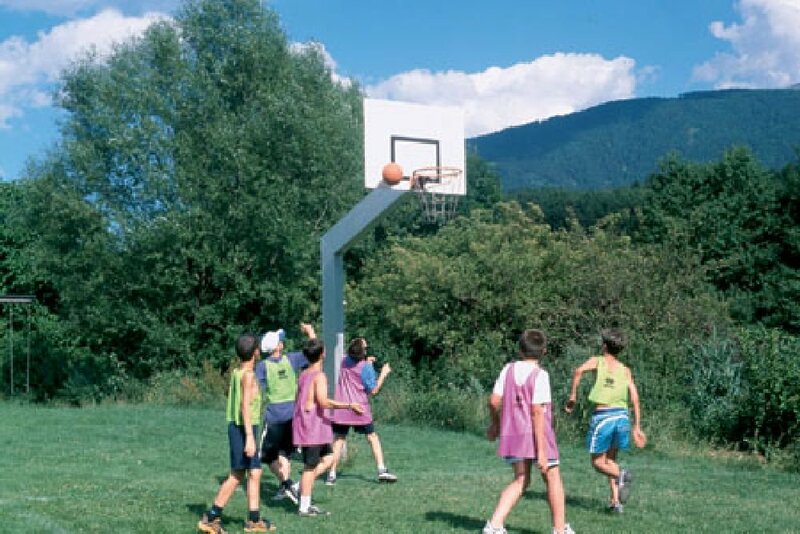 On the basketball court on our private sports field, teams can compete against each other and award the best players during a mini tournament. It is also a great place to throw simply a few baskets, and offers ideal conditions. Volleyball is a team sport loved by people of all ages. On our volleyball field, different teams can compete against each other and find out who are the best players. Girls against boys or maybe students against teachers – excitement and action are always guaranteed during a thrilling match of volleyball. A badminton match guarantees great variety and plenty of fun. On the badminton court, two players can play badminton in the open air and simply enjoy themselves. Space is plentiful, therefore, even multiple players may gather for a match.